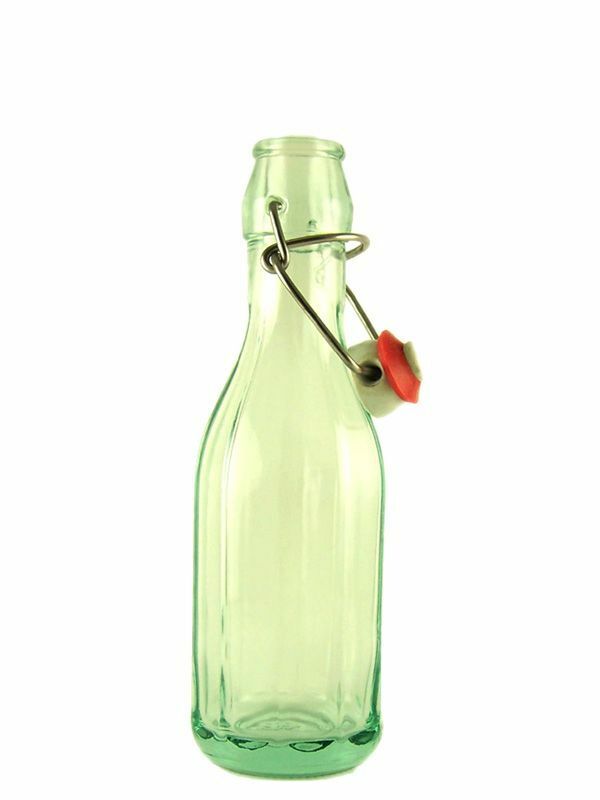 The 250ml is the smallest of our Italian Lucca swing top bottles. Also known as a Costolata bottle in the trade. Straight from Italy so you know they have style! These are in a pure clear glass, without the green tinge. We only give you a choice of ceramic stoppers as only the best will do.